We’ve been in a bit of a whirlwind of productivity lately. A lot of new strategies and creative ideas have materialized this fall, particularly in the area of web development. We – and our clients – are excited with our recent launches and we’ve gathered some of the work here for you to see what’s been going on. 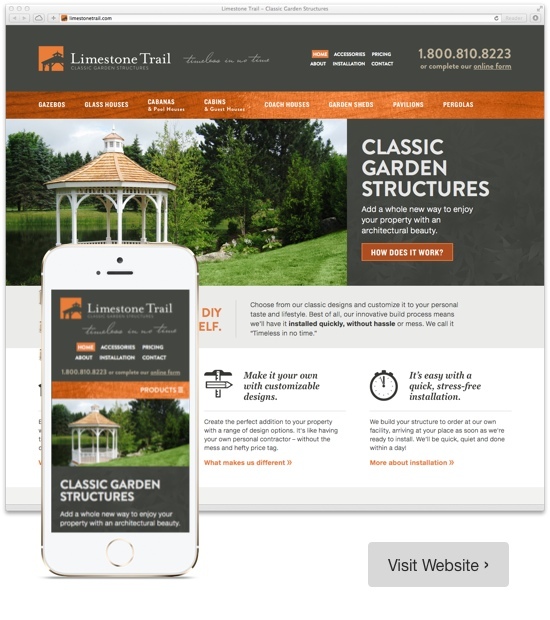 Limestone Trail is a Beamsville-based company involved in both residential and commercial landscape structures. The company recently changed hands and their brand needed to be brought more in line with who they are now. Our first mission was to help tell the story of the architecturally beautiful and customizable structures Limestone provides to homeowners and how easy and quick they’ve made it for the buyers. Through a new logo, messaging and website, we’ve conveyed the benefits of their products and their leading values of design precision and customer convenience. They also now have important new tools to engage with their target market and increase sales leads. Keep your eye out for the 2nd part of this client’s brand development with the launch of our work on their commercial division, Shadeview Structures. Owner Tim O’Connor decided that this would be the year he would have his brand identity and website developed to properly reflect what Tropical is all about today and really move his company forward. We started with a research & planning phase to explore the Who, What, Where, Why of Tropical Pools and Spas and strategized from there. The name was a great starting point and we developed the logo, marketing collateral, vehicles and website to build on the notion of the beautiful, relaxing luxury that people can enjoy in their own private Tropical resort. This client is one of those companies we get to work with that thoroughly affirms our own corporate values – and that great things will come out of collaborative, creative and foundational thinking (and a willingness to go a little outside the safe zone). The Wentworth team allowed us to convey their forward-thinking, outdoor-loving and friendly personality with a whole new identity and website. The website needed to address objectives of increasing traffic, aligning customers more effectively with the company and, of course, converting those visitors into callers. 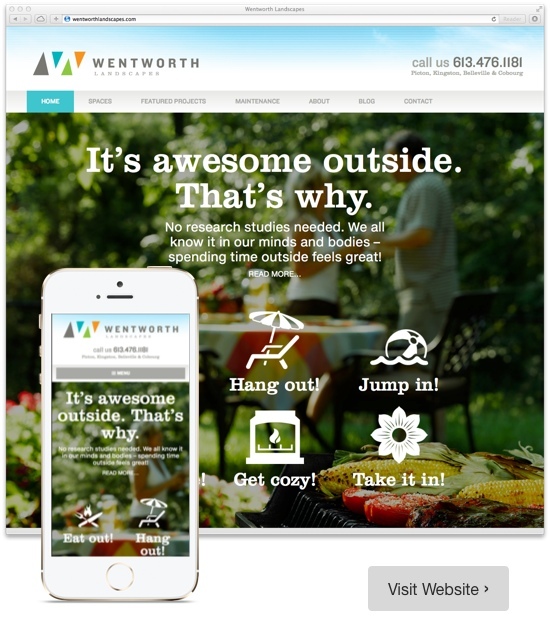 The design and layout takes its cue from Wentworth’s mission to build outdoor spaces that make people want to spend time there, so pages are rich in inspiring imagery and content conveying the great things to be had right outside your own door! 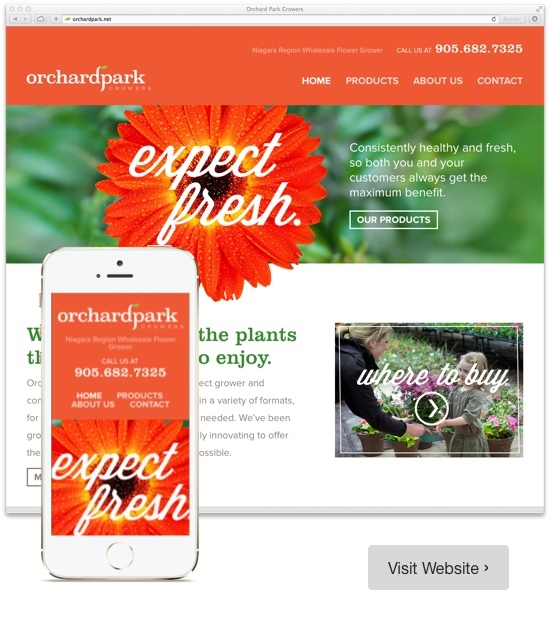 Orchard Park Growers had a common objective for a new website – to better reflect the growth of the company and who they are today. But they also had an interesting goal in wanting to speak to the end consumer, even though this isn’t their direct customer. So visuals, site layout and information are designed with all market levels in mind: bright and cheery, simple navigation and informative content that’s light on the industry jargon. 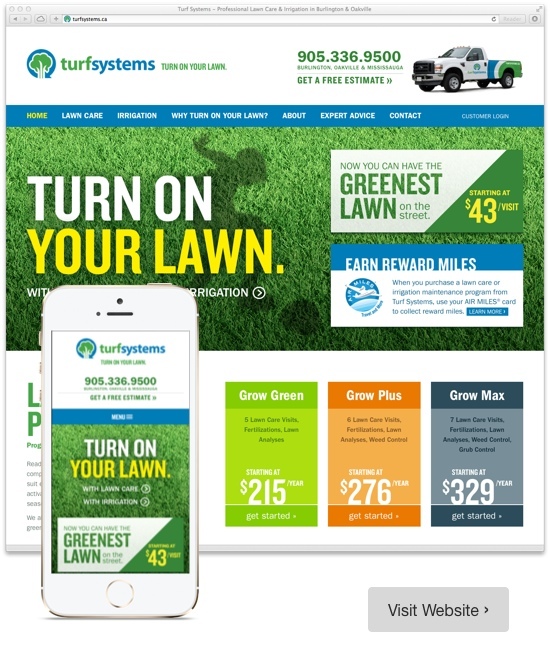 We initiated a full brand development project for Turf Systems – research & planning, strategy & messaging, brand identity and web development – plus direct mail and online ad campaigns. Their new tagline says it all: “Turn on your lawn” and speaks of their abilities to transform a lawn into something healthful, beautiful and environmentally friendly. Owner Alan White had a longstanding desire to use the opportunity that a website offers to educate and even change people’s thinking on the importance of grass in our urban environments. This site needed to visually and textually convey the benefits of lush, healthy grass in our lives. And of course how Turf Systems can achieve that for homeowners. The site itself is brightly coloured, engaging and informative and the design technology is responsive to look great on whatever device it’s being viewed on. 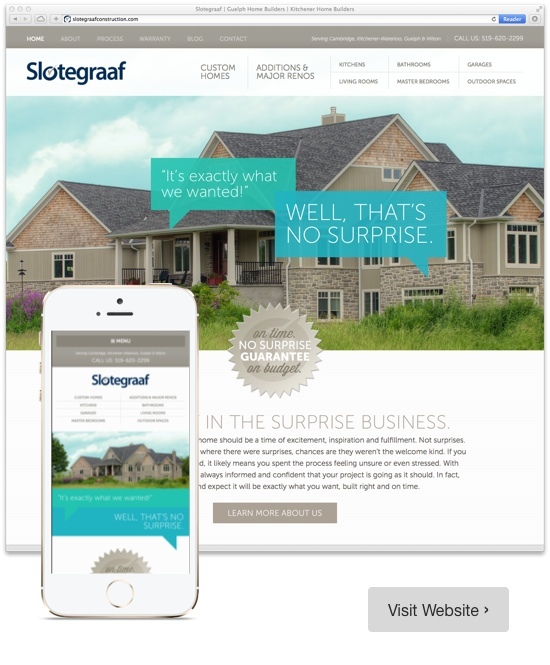 We did a full website development for Slotegraaf Construction back in 2010 and at that time, the new site was an industry innovation – clean and current design with lots of gorgeous imagery of their own work. Slotegraaf felt that it was a significant tool for their growth in the years that followed. Slotegraaf was looking to maintain that current feel visitors appreciated and, based on response, expand on the photography of their work. 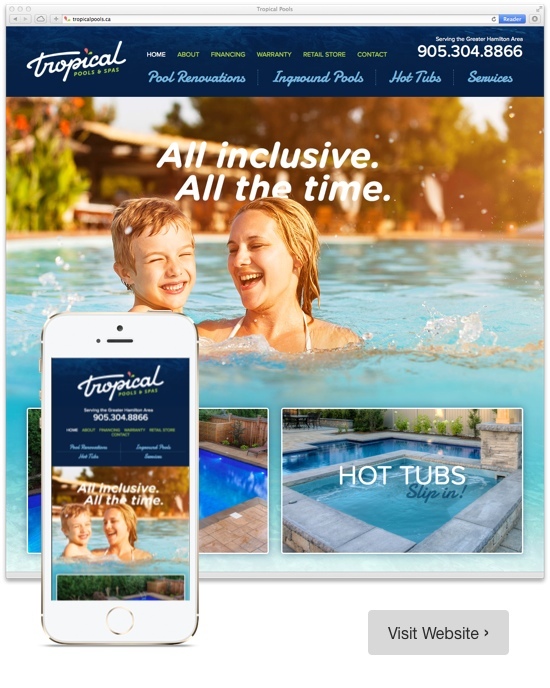 We developed a new ad campaign concurrently and meshed that concept with site upgrades like responsive design and a more visitor-focused layout.